Today in the Novus Ordo calendar is the Feast of Christ the King. Of course, in the old calendar, this was celebrated at the end of October. In the bigger scheme of things, this feast was a relatively recent addition to the Church calendar, owing its origin to the bull Quas Primas of Pius XI, given on December 11, 1925. The feast day was ordained to counter prevailing modernist notions (both of the extreme left and of the rising fascist movements) which denied Christian faith a place in the public sphere. 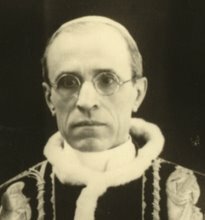 Contrary to this, Pius taught that "When once men recognize, both in private and in public life, that Christ is King, society will at last receive the great blessings of real liberty, well-ordered discipline, peace and harmony" (QP, 19). Against secular ideologies that claim to be able to produce an earthly Utopia, the Church reminds men that only in the Kingship of Christ and in His Kingdom can these aspirations ever come to fruition. It was a call for not just men, but governments and societies, to reverence Christ as King, even in their temporal affairs. Christ the King is one of those many feasts that was arbitrarily shifted with the institution of the Novus Ordo Mass. I find this regrettable; the older placement speaks more to the obligations of nations on this earth whereas the new placement shoves Christ's kingship into the domain of the eschatological. But we should remember that this particular feast was only fifty years old when its date was moved. Not to suggest that newer feasts are less important than older ones, but I am pointing out that Christ the King was a relatively new feast, created to address the errors of the time and stuck in the calendar by Pius XI. Is that alright? Of course it is: the Supreme Pontiffs can and often have added new feasts to the calendar throughout the centuries. Christ the King was an admirable and worthy addition to the calendar and the focus of the feast was very pertinent and in keeping with Catholict theological tradition, as the document Quas Primas goes to great lengths to point out. I think it was a good and wholesome thing that Pius XI did in giving us this feast. Of course, this sort of thing ought never be done flippantly, and I don't think Pius did it that way; it was the product of much reflection and prayer. Now, let's be honest, would we be so willing to accept a new feast in the calendar if a post-Conciliar pope were to add it? 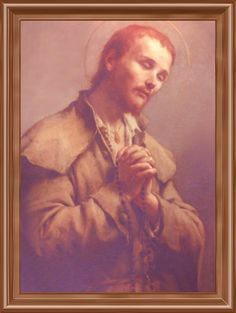 I was not a Traditionalist back in 2001 when John Paul II proclaimed Divine Mercy Sunday; I would be interested in hearing from anybody who can remember how the Traditionalists took the addition of this feast day at that time. My experience is most Trads are suspicious of this feast. I personally don't see anything wrong with Divine Mercy Sunday in itself, except perhaps that it obscures the traditional Low Sunday. 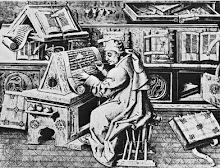 Likewise, recalling that Christ the King was at one time an innovation, I accept this innovation made by the Church because it was in keeping with the theological tradition of the Church's history, it was made by the legitimate authority and it was a worthy way to combat the anti-Catholic mentality of the times. It was organic and a faithful reflection of the Church's perennial teaching. I wanted to use the feast day to exemplify a mode of thinking I go by but that I know not all Trads do: for me, I do not reject something out of hand because it is new, but only because it is bad. My whole resistance to the circus that has grown up around the Novus Ordo is not simply because the Novus Ordo is new, but because so much of it is not good. Now, the extent to which something is bad because it is new is the degree to which the new thing breaks with Catholic Tradition. The Church has always accepted new things, but only in a slow, necessary, and organic development that was always in consonance with what came before. 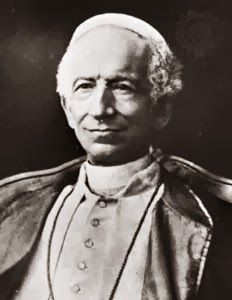 Furthermore, though the Church frequently added new things, it never dispensed with old things (check out 1896 Apostolicae Curae of Leo XIII for an example of how the Church accumulated but never did away with anything for fear that it might be unwittingly discarding something essential to the faith). If I were alive in 1925, I'd like to think I would joyfully accept the institution of Christ the King because it represents a truly organic and faithful addition to the Church's liturgical life. Can we say the same thing about the arbitrary movement of feasts after 1969, as if the calendar were the private property of the liturgists who happened to be alive in the 60's? What about the invention of the Luminous Mysteries that had absolutely no precedent in tradition and actually served to obscure the earlier tradition of associating the Rosary with the psalter? 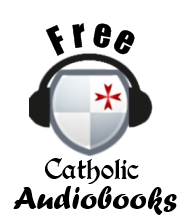 What about the liturgical innovation of self-communication? None of these things are organic. I object to them not because they are new, but because to some degree they are all not good because they are not consonant with tradition (the Luminous Mysteries), or in other cases (self-communication) are positive obfuscations of Tradition. So, new does not necessarily mean bad. When the old is so good, the bad often comes in with the new. The proper way the Church adopts new things is always from a reflection of the old, demonstrating how the new is simply a restatement of the old. If, however, someone proposes something new that is set up in contradistinction to the old and as in opposition to it (i.e., facing the people versus "back to the people") then the novelty must be condemned for the very fact that it is a bad novelty. A woman recently asked me why I wanted a restoration of the Old Mass. 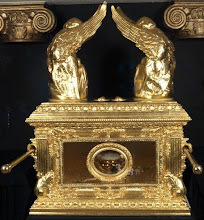 I thought of lots of reasons: I thought about how it is more reverent, how the Mystery is better expressed, how the congregation could receive more grace ex opere operantis, I recalled all of the abuses of the Novus Ordo, etc. There are many reasons why the Old Mass should be preferred. But in the end, I gave her one single answer, and I think this answer ultimately is the best one to the question: Because it is what the Church has always done. I would suggest that this feast was moved to the last Sunday of the liturgical year so that the end of the year would be marked in a special way. The year begins with the Advent of the coming of our Lord, and (in the new calendar) it ends with the recognition of his universal kingship. 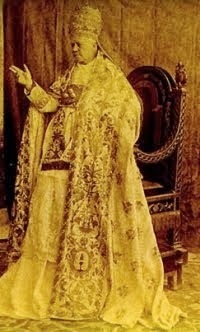 Pope Pius XI did indeed desire that this feast should come near the end of the year, to "crown" the year as it were. But he also states specifically that the feast of Christ' Kingship should be on the Sunday immediately preceding the feast of All Saints. He does not give specific reasons, but the implication seems to me that he saw an important connection between Christ the King and the Saints His loyal subjects. The N.O. calendar makes clearer one connection at the cost of removing the other completely. It might have also had something to do with Reformation Sunday being celebrated by many Protestant denominations on the same day. Just as the feast of St. Joseph the Worker later was added on May Day, there could also be a polemic here; at least this makes sense if one sees Protestantism as a subjugation of the temporal perogatives of God (as excercised through His Chruch) to secular authorities, followed by Reformed Chrisitanity as a privatisation of faith. Or, this may just be a coincidence. However, I think that the All Saints connection mentioned by Anselm is not so much about Christ's reign over those already in heaven, but rather his reign on earth. This is why the feast needs to be before All Saints day. Don't forget also that traditionally, the month of November is dedicated to the Church Patient--those folks in Purgatory. 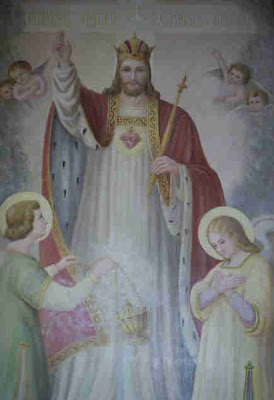 The Saints and the Poor Souls already recognise the Kingship of Christ, one might say they are already in His eternal Kingdom (or at least in the neighborhood). The issue, however, is that His Kingship needs to be acknowledged by people living on earth. Moving it to the end of the liturgical year suggests that the Kingdom of Christ is a function of the parousia, but I think that the placing of the feast before the month of the dead is supposed to teach that it is not only at the parousia that the Kingdom is to be recognised, but rather it must also be recognised by the living here on earth now. As an aside, I am not sure that the icon used for this post is the proper one. What you have there is Christ as High Priest. The mitre, the omophorion, the sakkos--these are Byzantine episcopal vestments, not royal ones. The depiction is used most often in the iconographic theme "Heavenly Liturgy" where Christ is celebrating Divine Liturgy and distributing his Body to the Apostles. I think the proper equivalent is the "Christ Enthroned" theme, often found on the second or third tier of the iconostasis, which looks just the the Pantokrator, except that it is full body and (big surprise) He is sitting on a throne. 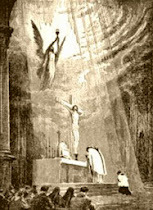 (btw, I attend the TLM in a community which had a big to-do last year for Divine Mercy Sunday and it was done, of course, in a solemn and traditional way). I guess I meant arbitrary in the sense that there was no *good* reason to move the feast. Regarding Faustina, yes, who can say...although a book or vision being disbelieved or disapproves prior to being approved does not bother me. The Bishop of Mexico also disbelieved Juan Diego at first. To me it is the ultimate judgment of the Church that matters, not what steps the book may have gone through along the way. 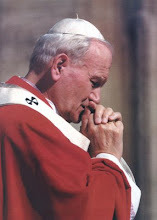 Most traddies aren't so willing to trust a post vatican two pope's judgment when it contradicts a pius or john xxiii. And they weren't so much disbelieved as called erroneous and against the faith. The link i put has some examples. Christmas with a Capital "C"
How long is a homily supposed to be? Is Dia de los Muertos a Catholic Holiday? Did the Great Flood occur in November? Do we understand the communion of saints?